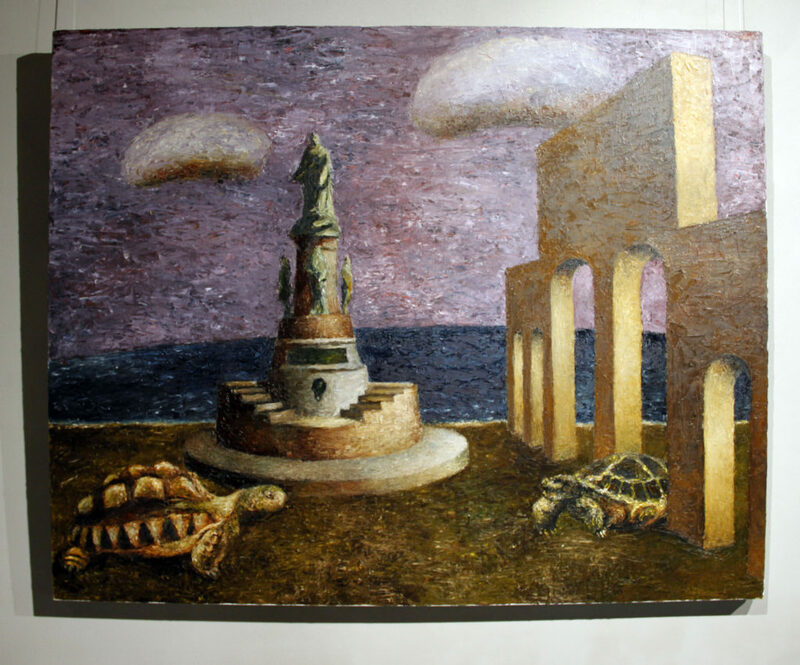 After the artist’s recent comeback to Odessa, his creative practice has again started exhibiting local flavor. This is a port city where everything is an inspiration especially if you distance yourself from its stuffy provincial ambiance. By introducing phantasmagoric motives against the background of architectural paraphernalia the artist creates new urban myths differing from the everyday fussy routine of the laypeople.